Samsung Electronics has donated USD 10,000 to the 78th Vision-Care Eye Camp-Pakistan, for Cataract surgeries performed by a delegation of Korean surgeons and medical staff. This medical camp was conducted at UCH-Sambu Korean Eye Center (Lahore) which is well-equipped with a modern Operation-Theatre. 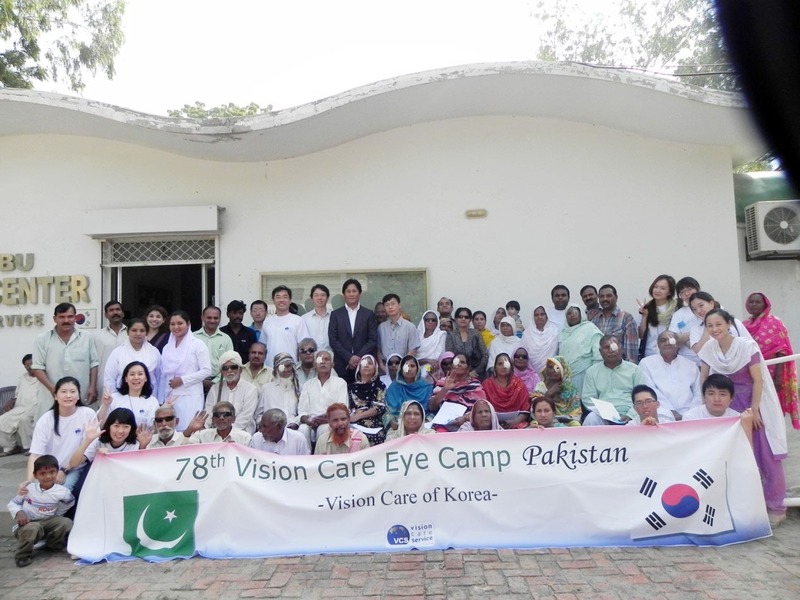 The Korean Embassy in Pakistan, Lahore Korean Church and the United Christian Hospital also provided valuable support to this Eye Camp, where 572 Outpatient cases were handled, while 71 Cataract Surgeries were also conducted with the donation funds provided by Samsung. “This humanitarian gesture from Samsung is a reflection of Samsung’s strong commitment to social wellbeing. A companywide commitment to Corporate Social Responsibility is consistently nurtured within our organization, to regularly conduct valuable social initiatives and healthy activities to enrich the society”. The cataract patients treated at the camp were underprivileged citizens, who seriously needed medical assistance but were not able to afford a comprehensive and lasting treatment for their eyes. Due to the timely financial assistance received from Samsung, the highly qualified and experienced Korean doctors were able to restore the vision of these suffering individuals. The cured eye-patients delightfully appreciated this life-changing experience, which will enable them to lead progressive lives once again and become productive members of the society. Good Job Samsung. Keep up the good work.